Traditional annual Scottish tourism highlight The Royal Edinburgh Military Tattoo, typically attended by members of the British Royal Family, is to get a very modern twist from 2018 with the addition of support for Chinese internet giant Tencent’s WeChat Pay mobile payments platform, enabling the growing number of visitors from China who attend the event to purchase tickets, merchandise and other services from their smartphones. The decision to offer WeChat Pay follows an 89% increase in tickets sold to Chinese visitors between 2015 and 2016. “The partnership agreement will allow the Tattoo to improve a broad range of its services for Chinese visitors, including a live ticketing system for the 2018 show and other services and merchandise,” the Royal Edinburgh Military Tattoo says. 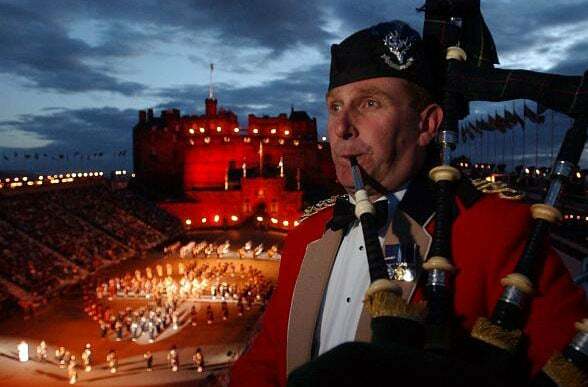 “We have been in a number of conversations in China for the last six years and are delighted to be the first Scottish tourism business to connect in this way,” says Brigadier David Allfrey, chief executive and producer of The Royal Edinburgh Military Tattoo.